Today is World Card Making Day. So I thought instead of uploading the cards one or two at a time, I'd give you a feast! These are samples I made for the Sandown Show - yes, there's more so you'll probably dine on the samples I made for it for a long time! With the excitement of the 2012-13 annual catalogue launching just a month after the seasonal Autumn/Winter catalogue, I thought it would be a good idea to feature some of the product in the Autumn/Winter catalogue as it will expire on 31 January 2013. There is only a limited period of availability on this catty! This stamp set is called Affection Collection (page 35 Autumn/Winter catalogue). 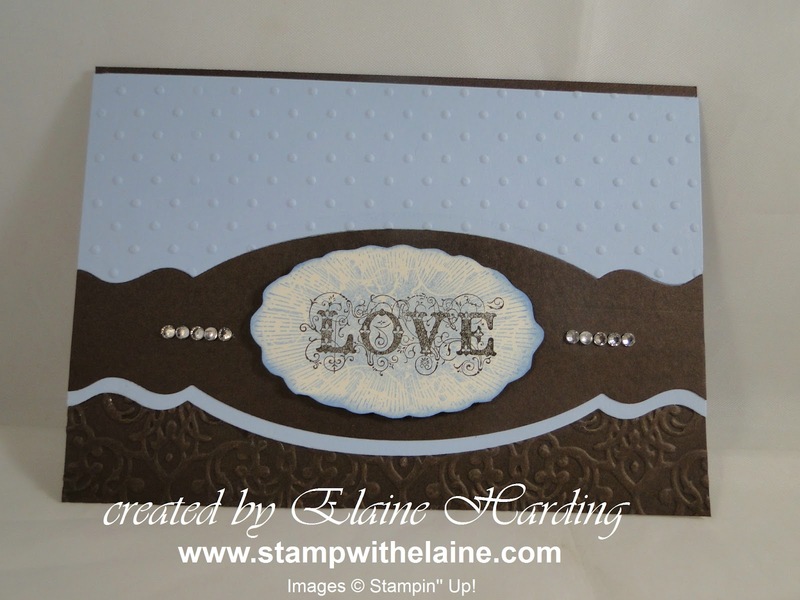 The card base is Early Espresso, and I've stamped on Whisper White. The patterned papers are from the Festival Prints, a pad measuring 11.4 cm x 16.5 cm (4 1/2" x 6 1/2") with 48 pages in each pad with 4 each of 12 double-sided designs, all acid and lignin free. You can find this on page 20 of the A/W catty. I also used the Adorning Accents Edgelits (page 190 in the Annual Catalogue) to cut the pretty borders. 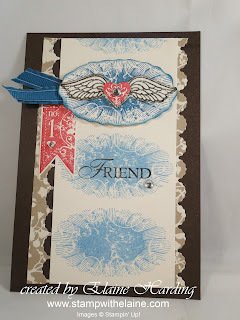 Here I used the eyelet border punch to add interest to the paper. Sadly that punch has now been retired to make way for new products, but was still current at the time of the show. 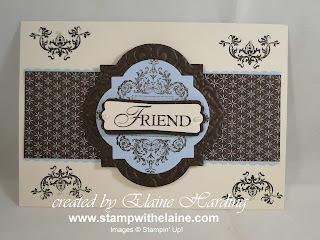 The fancy edge was cut with the Adorning Accents Edgelits - there are two dies in the set, the first scalloped one featured on the first card, and the second is featured above. 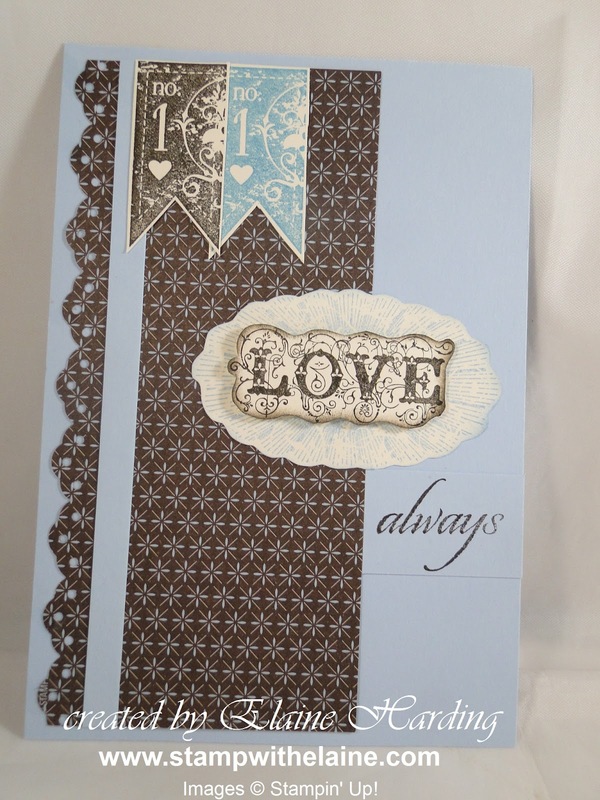 The Perfect Polka Dot embossing folder can be found on page 189 in the main catalogue, and the Lacy Brocade one on the bottom can be found on page 6 of the A/W catalogue. I stamped and cut the centre label by hand, adhered it to a scrap piece of Early Espresso then cut a frame round it. 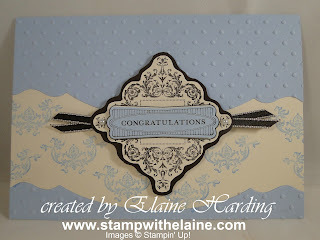 "Congratulations" is from Perfect Punches stamp set (page 120 in the annual catalogue) and added some ribbon to finish with. 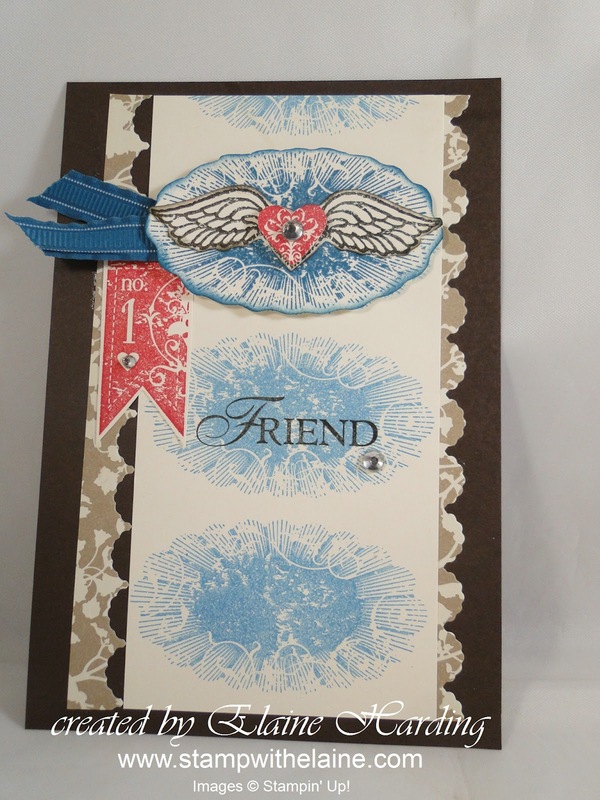 For this card I stamped on Bashful Blue, then cut it out with the Framelits Window dies (page 30 A/W catty). 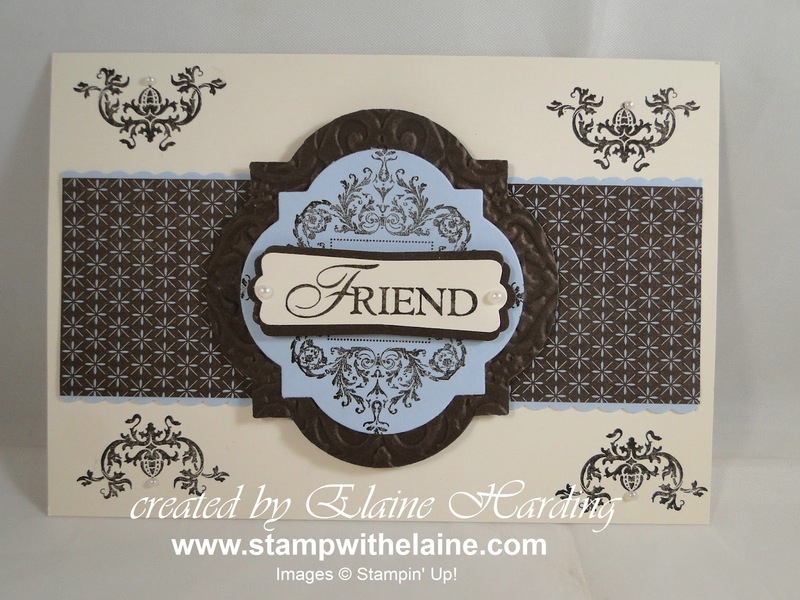 I cut a larger frame in Early Espresso and embossed it with the Lacy Border embossing folder. That's all for today! Back with Part 2 tomorrow!Thanks for stopping by!